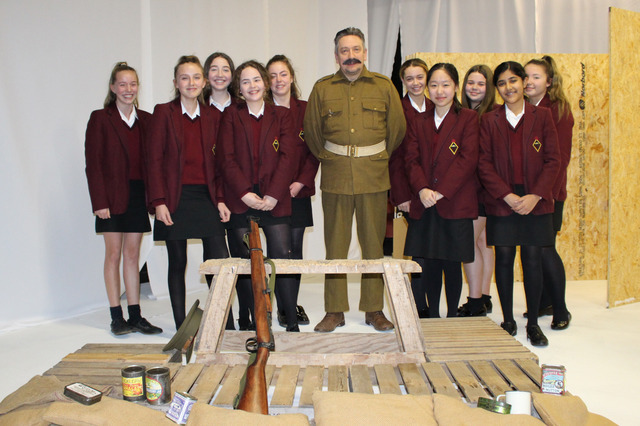 Pupils at Bolton School Girls' Division enjoyed ‘meeting’ a typical soldier who fought in the First World War when Peter Gill brought his one-man play 'Meet Tommy Atkins' to Bolton School. 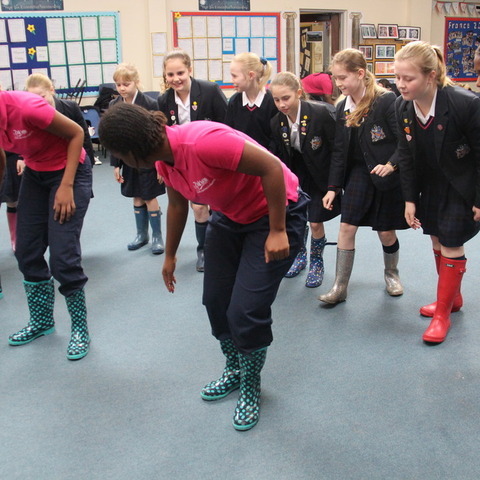 The experience brought to life the girls' history learning. 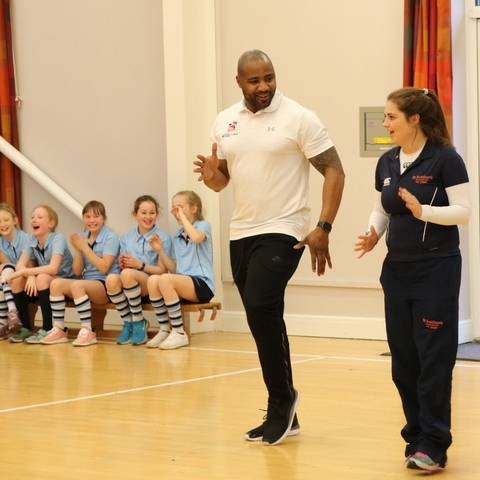 Girls in Year 9 at Bolton School Girls’ Division spent an entertaining and informative afternoon ‘meeting’ a typical soldier who fought in the First World War. Peter Gill’s one-man play ‘Meet Tommy Atkins’ tells the story of “an ordinary man who was caught up in an extraordinary time” and not only portrays the trenches of the First World War but also the aftermath, including the life-long impact those experiences had on so many of the soldiers who came home and the changes that generation made to the UK. 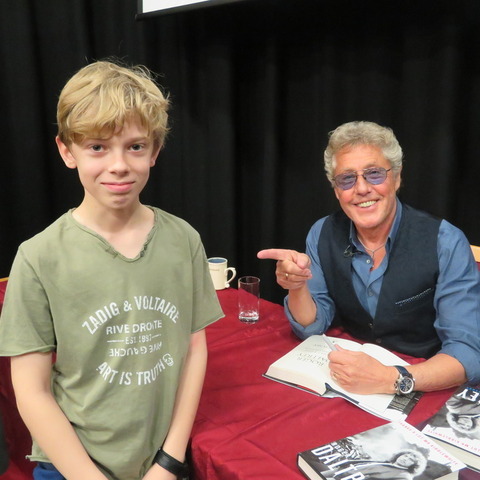 ‘Meet Tommy Atkins’ was written by Peter in 2014 in commemoration of the 100th anniversary of the outbreak of the First World War.